The Bible talks about the resurrection of Jesus Christ preparing the way for future resurrections of human beings. What are these resurrections? The word resurrection means rising from the dead—coming back to life. When people talk about “the Resurrection,” usually they mean the raising of the crucified Jesus Christ to eternal life. In the chapter often called the Resurrection Chapter, the apostle Paul shows that Christ’s resurrection was essential for anyone to have hope of eternal life (1 Corinthians 15:14-18). Christ’s death and resurrection made possible the forgiveness of our sins and the gifts of the Holy Spirit and eternal life. Paul then mentions there is a time order of resurrections: “For as in Adam all die, even so in Christ all shall be made alive. But each one in his own order: Christ the firstfruits, afterward those who are Christ’s at His coming. Then comes the end, when He delivers the kingdom to God the Father, when He puts an end to all rule and all authority and power. For He must reign till He has put all enemies under His feet. The last enemy that will be destroyed is death” (1 Corinthians 15:22-26). The apostle John gives more details and actually uses the phrase “first resurrection” to describe the resurrection of those who are followers of Christ—who have His Spirit in them. Revelation 20 gives the time order of major events after Jesus Christ’s return to the earth. After Satan is bound and prevented from deceiving people for a thousand years, John says, “Then I saw the souls of those who had been beheaded for their witness to Jesus and for the word of God, who had not worshiped the beast or his image, and had not received his mark on their foreheads or on their hands. And they lived and reigned with Christ for a thousand years” (verse 4). This resurrection of the saints—true Christians—is to eternal life: “Blessed and holy is he who has part in the first resurrection. Over such the second death has no power, but they shall be priests of God and of Christ, and shall reign with Him a thousand years” (verse 6). In the second resurrection, the dead are described as standing before a “great white throne” (verse 11). “And I saw the dead, small and great, standing before God, and books were opened. And another book was opened, which is the Book of Life. And the dead were judged according to their works, by the things which were written in the books” (verse 12). Jesus Christ described this day of judgment as a time when people of different nations and time periods would rise together, and He said that it would be more tolerable for those who had not heard His message or seen His signs (Matthew 11:21-24; 12:41-42). He said those hearing Him were more accountable even than the people of wicked Sodom: “For if the mighty works which were done in you had been done in Sodom, it would have remained until this day. But I say to you that it shall be more tolerable for the land of Sodom in the day of judgment than for you” (Matthew 11:23-24). What did He mean, “more tolerable”? If this time of judgment was only a time of sentencing, and all receive the same penalty as sinners—eternal death (Romans 6:23)—then “more tolerable” doesn’t make sense. But the concept of judgment in the Bible is broader than just condemnation. In fact, Christians are being judged now (1 Peter 4:17), so it is a process and it can have a positive outcome. And every human being will be judged (Hebrews 9:27). So being judged doesn’t always refer to being condemned. Our God is a God of justice and mercy (Micah 6:8; Matthew 23:23). He tells us He wants everyone to come to the knowledge of the truth, repent and be saved (1 Timothy 2:4; 2 Peter 3:9). But how does that work when billions have lived and died and never known God’s truth—and many through history never even heard the only “name under heaven given among men by which we must be saved” (Acts 4:12)? Another prophecy of the second resurrection sheds light on this dilemma. Ezekiel recorded a prophecy of a time when God will resurrect the dry bones of the dead and breathe physical life into them. Not only will He allow them to live again in their own land, but He says, “I will put My Spirit in you, and you shall live” (Ezekiel 37:14). So, just as God is offering His Spirit and a process of judgment and mercy to His Church today, He will make His Spirit available to those who have never had the chance before. The books of the Bible will be opened to their understanding, and the Book of Life will be opened to allow those who repent and accept Jesus Christ as their Savior to be added (Revelation 20:12). If the saints are raised in the first resurrection, and the rest of the dead who had never had an opportunity for salvation are raised in the second, is there anyone left to resurrect? What must happen before Christ can deliver the kingdom to the Father and destroy the last enemy—death (1 Corinthians 15:24-26)? John’s description at the end of Revelation 20 describes a third resurrection of the incorrigibly wicked—those who will not repent. “Then Death and Hades were cast into the lake of fire. This is the second death. And anyone not found written in the Book of Life was cast into the lake of fire” (verses 14-15). Those who are in this resurrection are not those who sin in ignorance or stumble, but the ones who willingly and consciously reject Jesus Christ and choose to go their own way. This can also include those who neglected to actively choose God’s way—who failed to take their opportunity for salvation seriously. For those who will not repent, “there no longer remains a sacrifice for sins, but a certain fearful expectation of judgment, and fiery indignation” (Hebrews 10:26-27). As mentioned earlier, God’s judgment is a process. It starts when God gives each person an opportunity to live His way of life and to actively choose His way until He adds the person to His family at the first resurrection or after the second resurrection. For God’s people, this process has already begun (1 Peter 4:17). But for those who choose to reject God (2 Peter 2:20-22), the final step of the judgment process is to be condemnation and the second death. From that time forward, “There shall be no more death, nor sorrow, nor crying. There shall be no more pain, for the former things have passed away” (Revelation 21:4). In addition to these future resurrections and Christ’s resurrection, the Bible also tells of several miracles of humans being raised back to human life, such as Lazarus and the people resurrected at Christ’s death (John 11:14-44; Matthew 27:50-53). These people then lived out their physical lives and again died, awaiting the future resurrections. 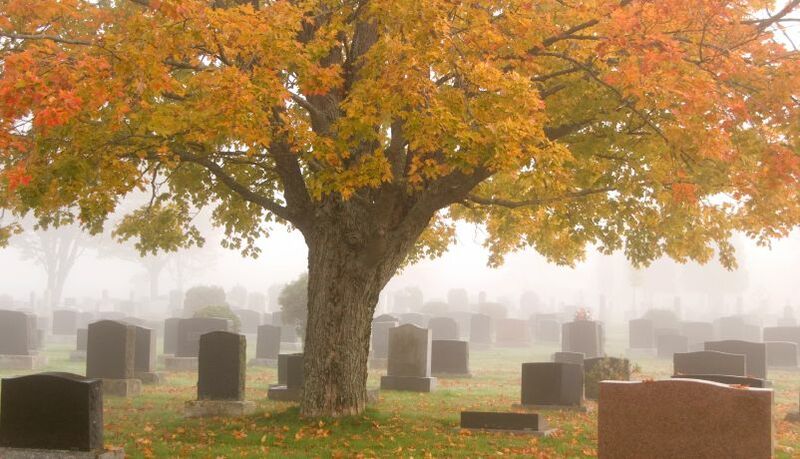 For further study about what happens when you die, visit our Life After Death resource page. You may also be interested in downloading this free booklet about God's plan for all mankind. Zombie Movies: What Do They Get Right?